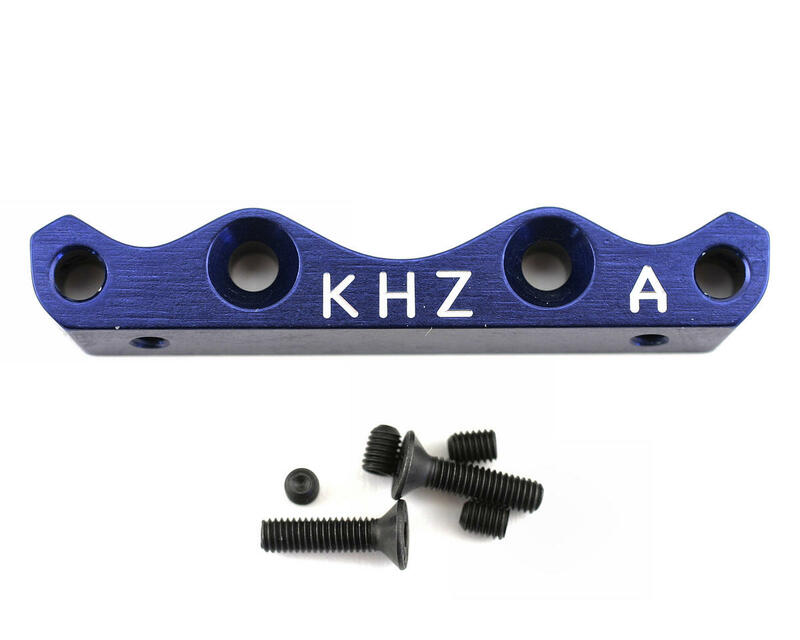 This Replacement Front Lower "A" Suspension Holder Set is CNC machined from 7075 aircraft grade aluminum and Anodized blue. 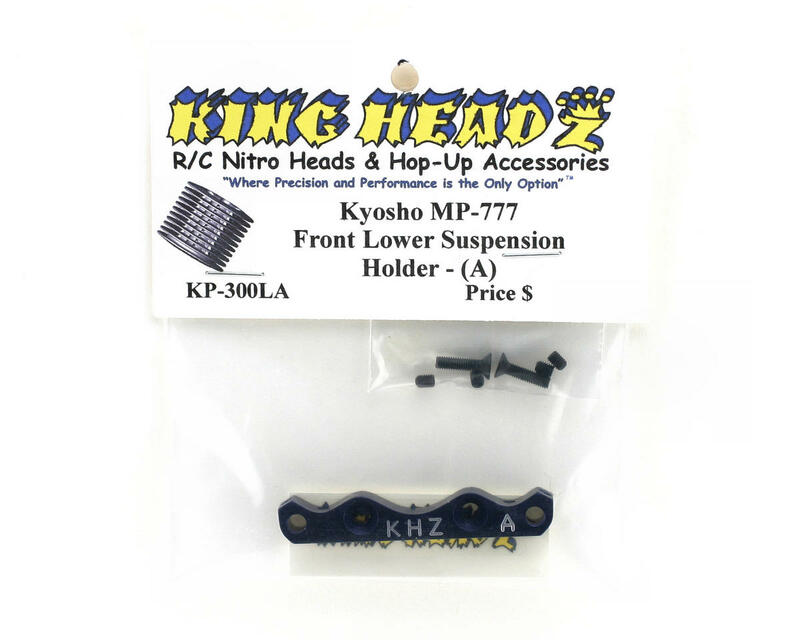 This is offered as a single unit so you can purchase replacements if you break one of these, or as the complete kit (KHZKP300). These are designed to increase rigidity and add strength. M3 alloy set screws are added at the hinge pin holes in the lower holder to keep pins from wearing out the holes. Fits Kyosho Inferno MP777 family buggies.